Onboarding is a relatively new concept that should not be confused with orientation or induction. Orientations and inductions are usually carefully arranged one-off events that attempt to get new employees or users up to speed on new software, applications etc. Onboarding however, takes place over a longer period of time, by providing a user with easy access to the information that they need as they require it. Not only can this empower a new user to feel more like they are discovering things for themselves, but it also frees up the time of the people who would normally have to devote whole days to detailed training sessions (most of which is likely to go in one ear and out of the other). New users are often just handed an instruction manual, maybe a pdf file or two and then expected to learn from their co-workers, who may not be in full possession of the facts themselves. This method does not lead to fantastic results and incurs a significant cost in terms of time and energy. This means that an effective onboarding strategy is crucial if you wish to retain staff and maximise your output. Having to constantly rehire and retrain new users is going to be an expensive and time consuming process and one that your organisation could certainly do without. So, whether you are onboarding brand new employees or simply introducing new software or processes to old ones, you need a great onboarding system and one of the ways that you can achieve this is with eLearning. You want new people to feel like they are a part of something. You need people to feel that they are there for a reason and that they are an essential cog in making this system work. This can be achieved via eLearning with short videos explaining the difference that this new software will make to the organisation as a whole as well as their day-to-day work. You need to make it clear the ways in which these new systems fit with the values of the organisation and will help promote them in an even more efficient manner than previously. ELearning can be used for this by presenting case studies of positive results that other locations have had from implementing these new systems. This is where the actual training part of onboarding comes in and should be practice orientated and be as close to how the person will use the new systems on a day-to-day basis as possible. The purpose of this step is to let people practice with the new systems as much as they need to, in a way that isn’t overly abstract or theoretical, and allows them to make mistakes without consequence and learn from them. ELearning can really come into its own here as it can provide a new user with accurate simulations and practice exercises that will allow them to get to grips with their new tasks. It can also provide hypothetical scenarios that will teach users how to deal with unexpected issues and other challenges. Support is the part of the process that really separates onboarding from orientation of induction. By seamlessly integrating your training systems into an on-going process, you will provide your new users with the tools that they need to continue to practice and develop without the need for formal sessions. Making your training simulations ready for mobile devices and tablets is just one of the ways in which eLearning can be employed to this end. This will allow particularly dedicated users to practice with the software no matter where they are or what time of day it is. So, if they are sitting at home one evening worrying about a certain function of the system, they can whip out their phone or tablet and put their minds at ease. Feedback and progress monitoring is a core component of any system of training and eLearning can be leveraged to great effect for this as well. By created a digital learning environment (DLE) you can upload quizzes and completions that reward employees for completing them in some small way. This will mean that users will be more willing to engage with them and will (at least partially) eliminate the need for one-to-one review sessions. You can also use your DLE to upload relevant documents and resources that will further assist with the on-going learning of your employees. Statistics functionality can also be implemented in order to let them monitor their own progress. You could even add a layer of gamification to the DLE, by adding leader boards or achievements that unlock as users progress. What all of this creates is a method of training that takes into account different user preferences as well as different learning speeds. It provides users with all of the tools that they need to facilitate their own learning and the support infrastructure with which to back it up, so that they can continue with and control their own training to matter where they are or what time it is. 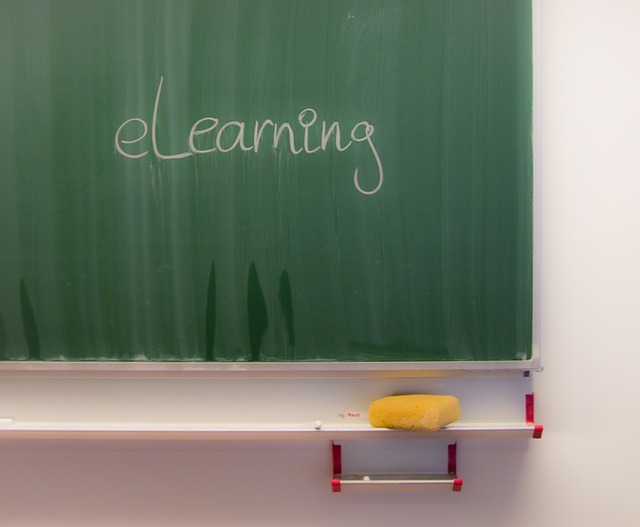 Does your organisation use eLearning for user onboarding? If so, what methods do you use and how successful have you found it to be? Please let us know.